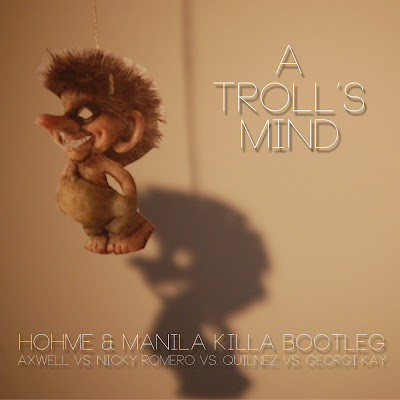 When you join to mashup experts, you're bound to get a track that is going to blow minds everywhere, Manila Killa and HOHME mash up the vocals of 'In My Mind', with the breakdown of 'Troll' and the drop of the Nicky Romero Remix of 'I Don't Like You'. All of which work so well together and is destined to destroy dance floors everywhere! 0 Respones to "RELEASE: Manila Killa & HOHME - A Troll's Mind (Axwell x Georgi Kay x Qulinez x Nicky Romero)"